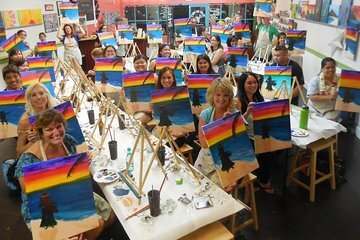 We had so much fun at island art party. My husband and I went on our visit to Maui! The girls who work there made painting fun and the instructions were very easy to follow. This activity was a lot of fun. You get to meet new people, and the teachers were patient, friendly, and loads of fun! Lots of fun! Instructor was fun and easy to follow her instructions.